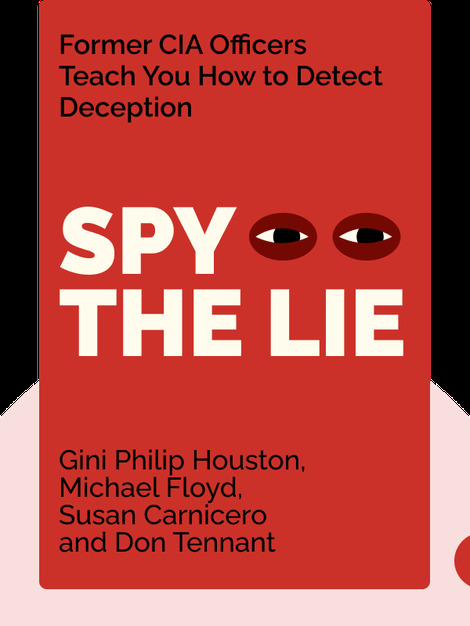 Spy the Lie reveals the typical strategies that liars use to try to deceive you, as well as the tools to help you detect them. 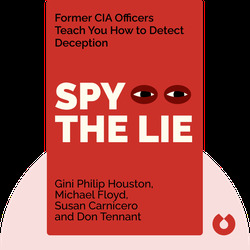 This book draws on field-tested methods for lie detection developed by former CIA officers, which helps to spot the signs of a lie and ask the right questions to uncover the truth. All the book’s authors have worked for the US government in organizations such the NSA, the CIA and the US Army Military Police. All are recognized for their competence and experience in the field of conducting of interviews, interrogations and polygraph examinations and have worked all over the globe. They are also the founding partners of QVerity, a company offering deception detection training and consulting.